Above Ground Pool Skimmer or Skimmers for pools of any type. You might as well have fun while you are skimming the debris from the surface of your swimming pool. There are several different types of skimmers for pools. However, In my point of view, it just makes sense to have as much fun as possible while we are cleaning the pool. The bigger the pool, the better! On those hot, searing, summer seasonal days, a swimming pool is a very welcoming respite from the blistering heat. Having an appropriate weekly cleaning schedule for your swimming pool will ensure you have safe and clean water for your family and you to enjoy. It seems like maintenance isn’t enough to obtain the crystal clear water that you see in pools in movies and on TV. However, if proper pool maintenance is done properly and regularly, you’ll see it’s not as impossible as it seems. Are an excellent way to Save Time and Energy. Keep your pool clean and safe. when you incorporate the use of “Pool Robots” and Robotic pool cleaners. You will be able to spend less time cleaning the pool, and more time actually enjoying and swimming in your pool. 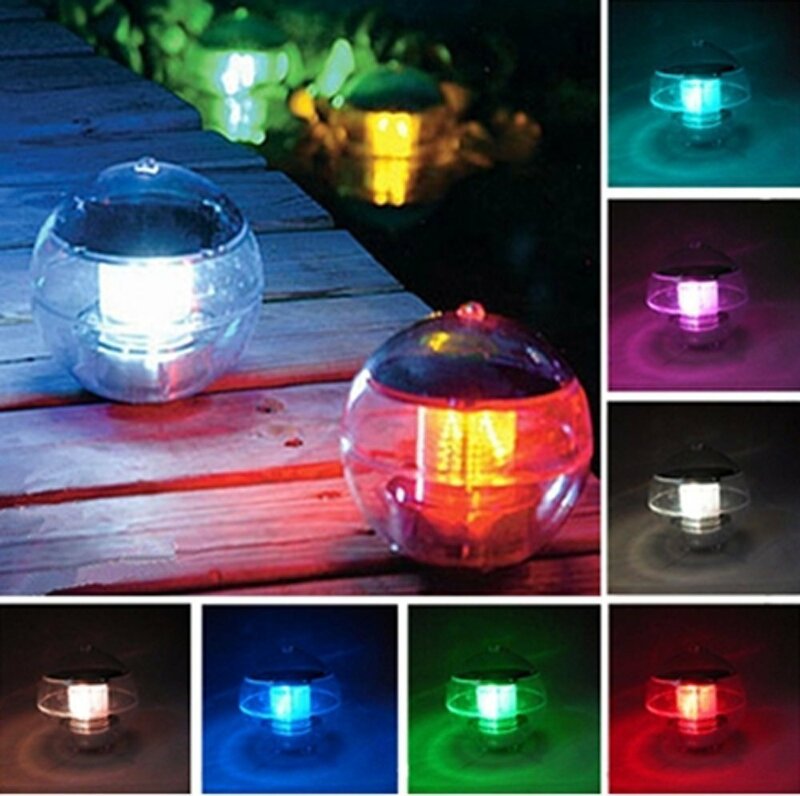 Floating Solar Pool Lights, These are Really Cool! 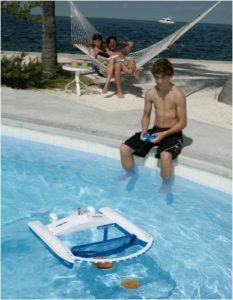 Looking for Above Ground Pool Kits? I have put together a list of what I believe to be some of the Best Above Ground Pool Kits. These Pool Kits are some of the most affordable and easiest pools to get set up so you can enjoy your summer. 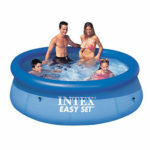 Some of these pool kits are designed for families with small children and designed for small back yards. However, Don’t let that stop you from shopping and comparing, I know plenty of adults that will still jump into an inflatable above ground pool when the weather gets Hot. Let’s get started . Depending on your budget, choosing between above ground pools and a larger in-ground pool can be a hard choice for many homeowners. There are a lot of things to consider when choosing the most appropriate pools. Pool care and Pool maintenance are required at regular intervals in order to keep your pool stress free. All pools are different in size, design and types of materials used. Some pools are built into the ground while others are placed above ground. However, they all share some common traits as well as some basic necessities when it comes to keeping them clean and safe for your kids and family to use all summer long. I have put together a list of twelve common steps that will help you ensure that your pool remains a safe and clean gathering place for the duration of the swimming season, no matter where you live.